Well, this is quite interesting. At first this looked like some kind of fire-roasted coffee beans, but on further examination it is not something to drink. It was in the ‘reduced’ section, so it is already apparent that this great idea is on it’s way to failure. 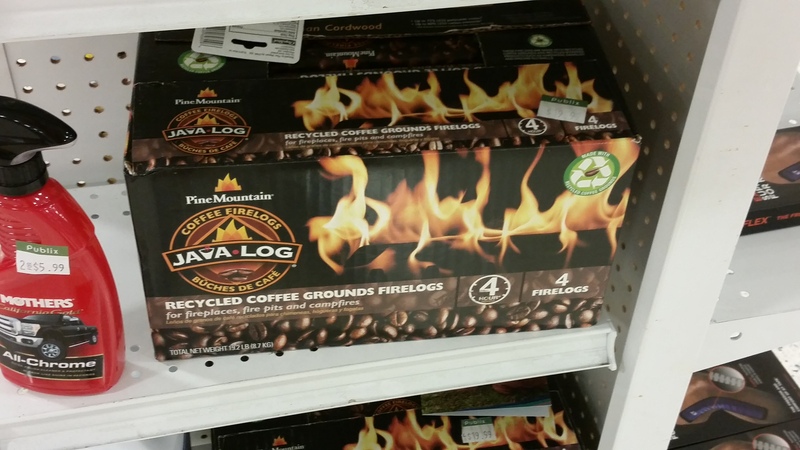 The burning log might smell like burnt coffee. The packaging looks like a food product. May not appeal to people that do not drink coffee. A great recycling idea that might be too complex to market.